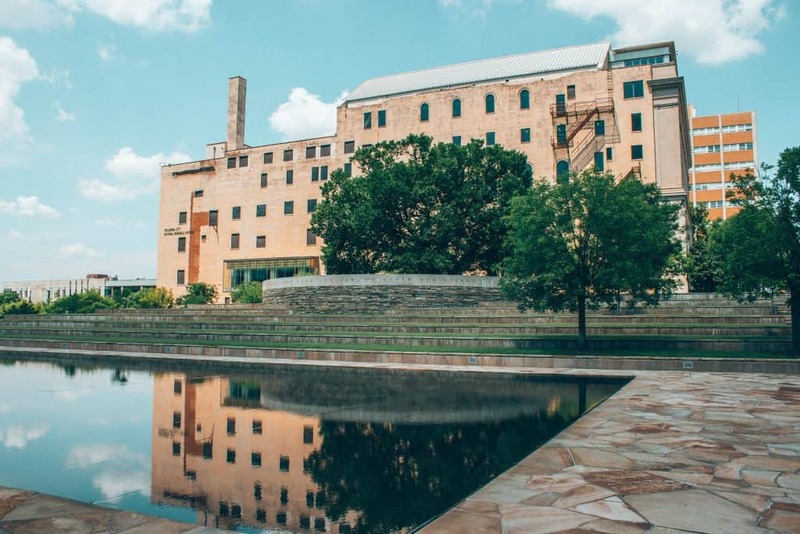 What do you think of when you think of Oklahoma City or Oklahoma in general? I’ll be honest. 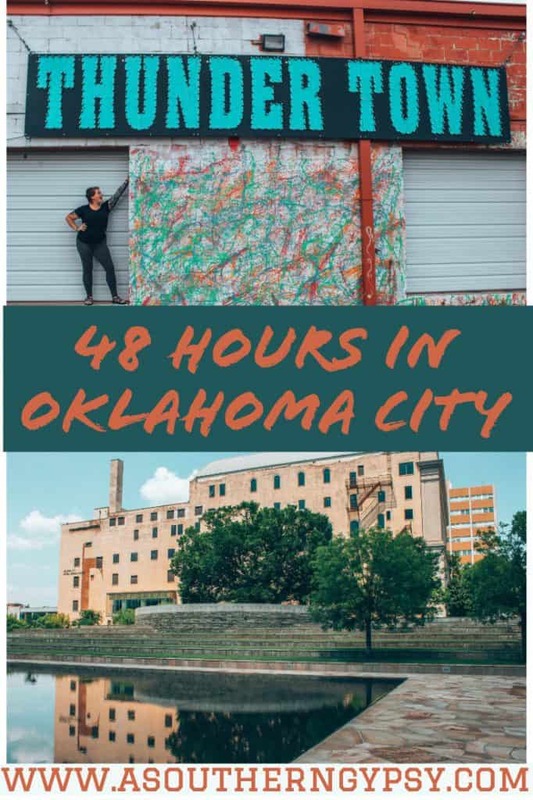 I had no idea what Oklahoma City was like at all. I had never been anywhere in the state except driving through it for short periods of time. I’m always excited to explore underrated destinations though and I’ve never visited a place where I couldn’t find something awesome about the place. 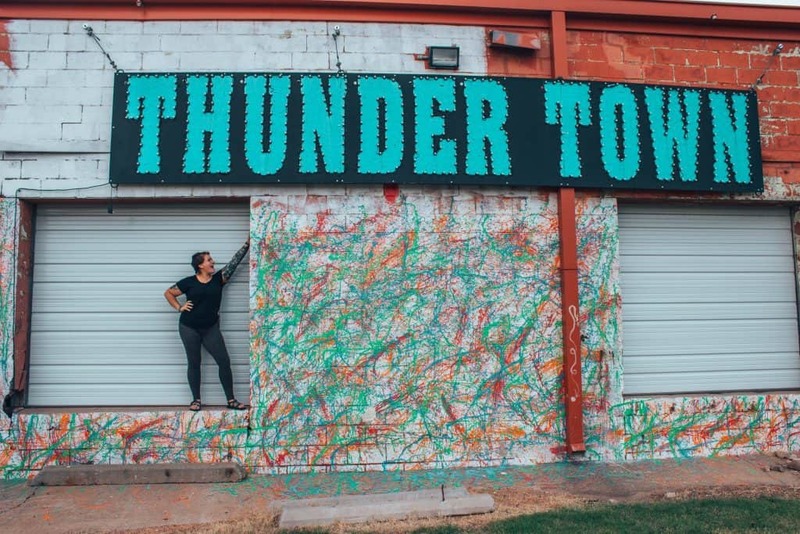 But, I didn’t find just one amazing thing in OKC – everything about it was amazing! 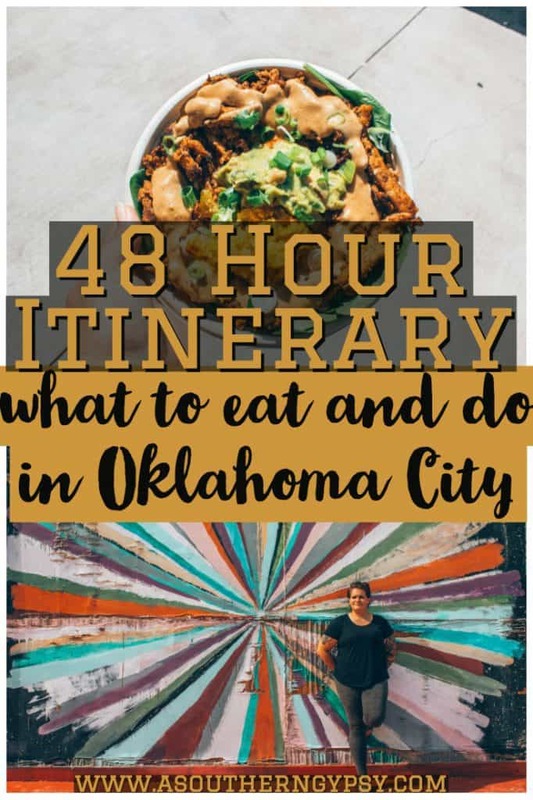 If you’re looking for ideas for weekend getaways in Oklahoma, this 48 hour Oklahoma City itinerary is a perfect starting place! 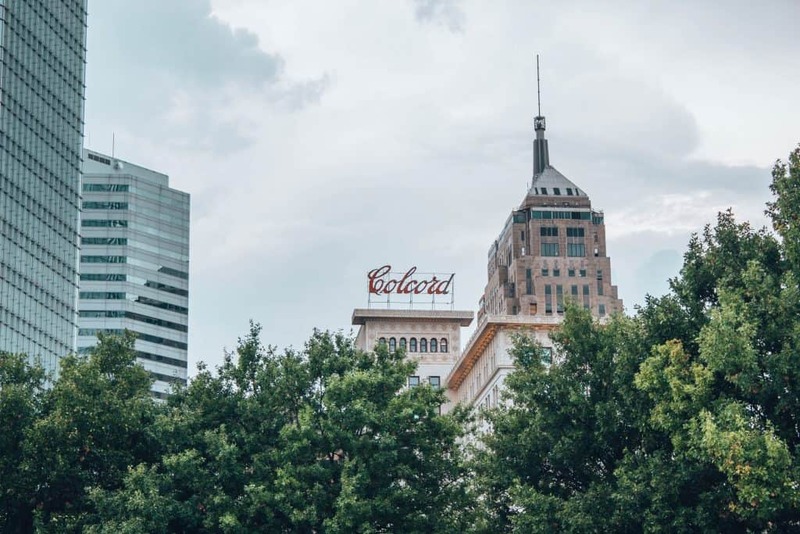 Psst: Looking for more information on Oklahoma City? Check out a few of our other posts! First things first…you gotta get there. Oklahoma may be known unfairly as a flyover state but I’m going to suggest you don’t do that. If you’re flying in like, flights to Oklahoma City were actually pretty affordable for me! 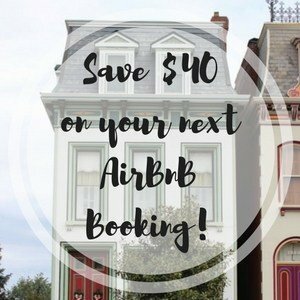 I set up a price alert for my dates on Skyscanner like I normally do and was able to snag a $190 RT flight to Oklahoma City from Nashville! Once you’re in Oklahoma City, you can rent a car or you can just grab an Uber to your hotel. Depending on where you’re staying, you can utilize Uber, walk, use Spokies (bike share program) or the free shuttle at your hotel. Additionally, there will be a 6-mile streetcar debuting in December which will service many downtown districts. 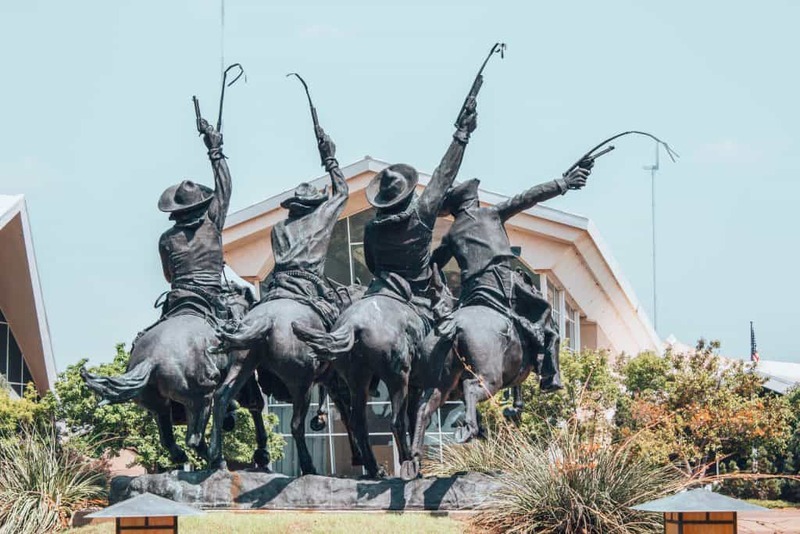 Now that you’ve gotten to Oklahoma City and you know how to get around, time to have the most amazing weekend in Oklahoma City! You can’t really start any day better than if you start it with vegan donuts and coffee. I was so excited to find out there was an all-vegan donut spot in Oklahoma City! I decided to try one I wouldn’t normally try – tomato jam filled. While it was absolutely beautiful and great for photos, I realized I am not so much a savory donut person. It was good but I definitely loved the watermelon lemongrass more! Regardless, delicious donuts and you should make this your breakfast spot for sure! 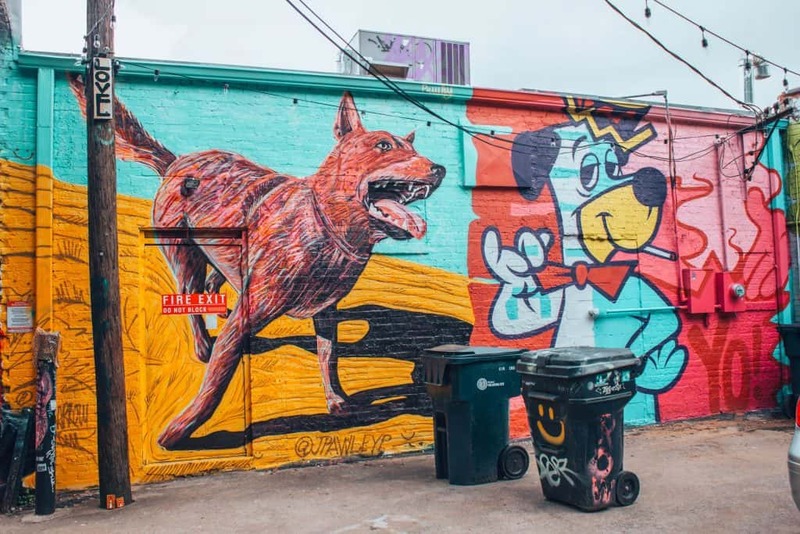 From here, head on over to the Plaza District to enjoy one of the best free things to do in Oklahoma City – explore street art! 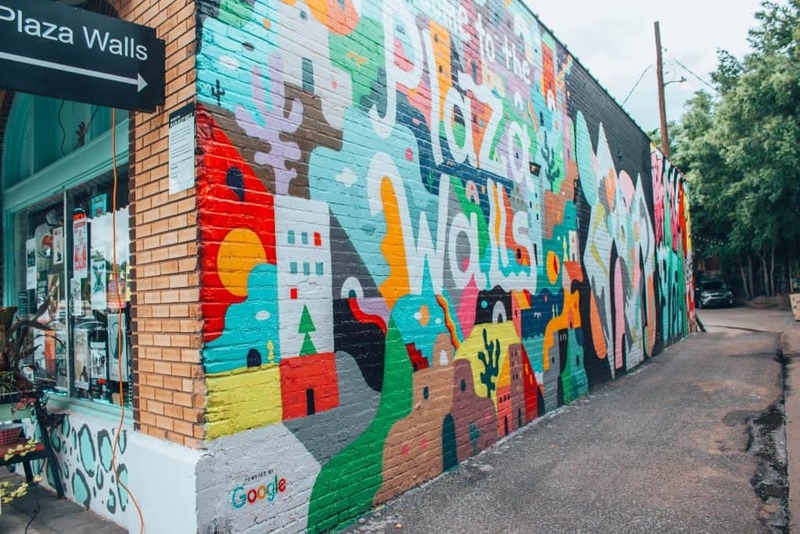 The Plaza District is one of the absolute best spots for street art – there’s one particular alleyway called the Plaza Walls. These are constantly changing so if you’ll be returning to Oklahoma City, definitely keep checking out this spot for new artwork. The Plaza District also includes several local shops and restaurants. I had a list of places to eat in Oklahoma City and guess what? This one wasn’t on it. This was an “I’m super hungry and need to eat now so I gotta find something close” decision. Turned out to be a pretty amazing meal! 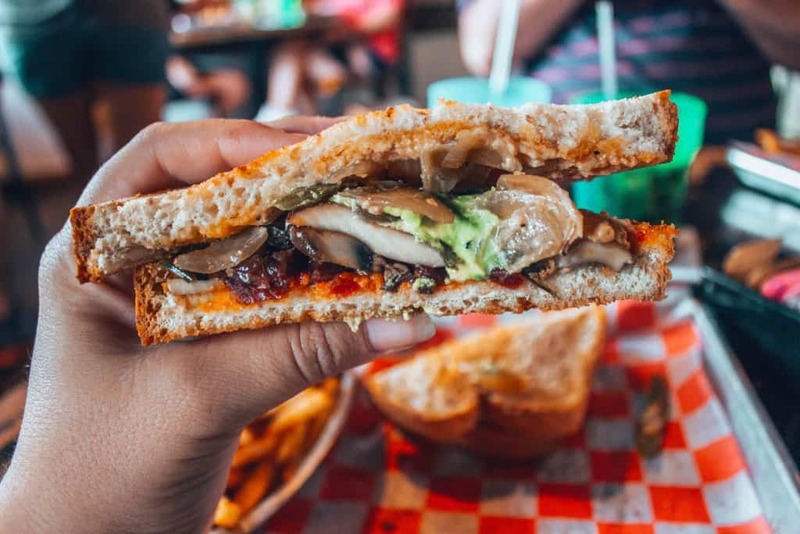 The Mule is not all vegan or even close but they have a vegan sandwich! All you have to do is ask them to cook it in oil instead of butter. 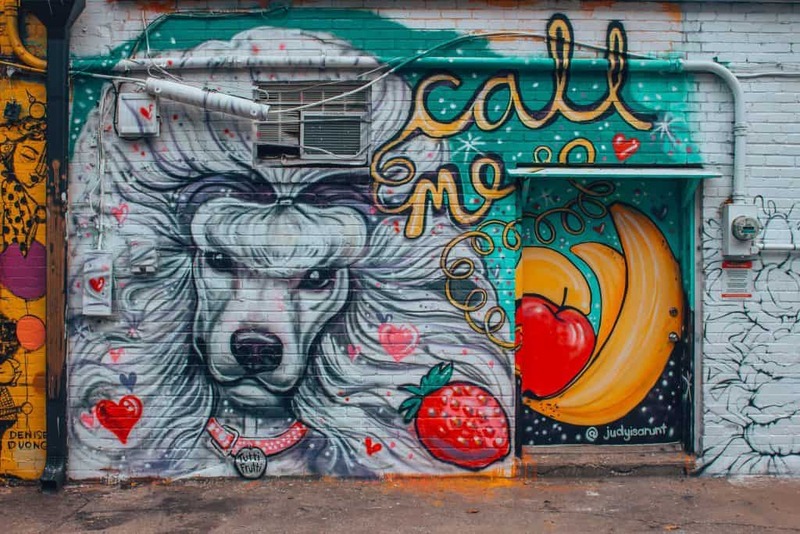 While most of Oklahoma City is colorful and fun and easy-going, there is a history here that shouldn’t be ignored. 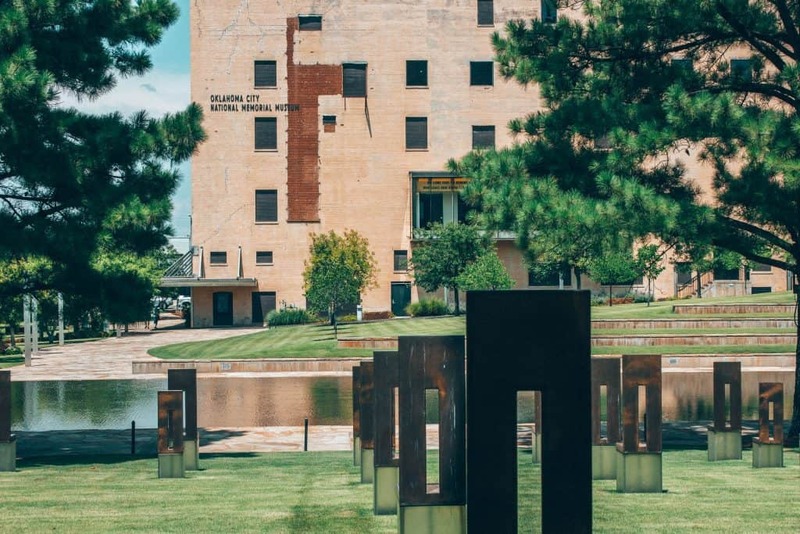 Oklahoma City is known as being a resilient city and people after what they went through with the Oklahoma City Bombing – arguably one of the largest domestic terrorism events in history. 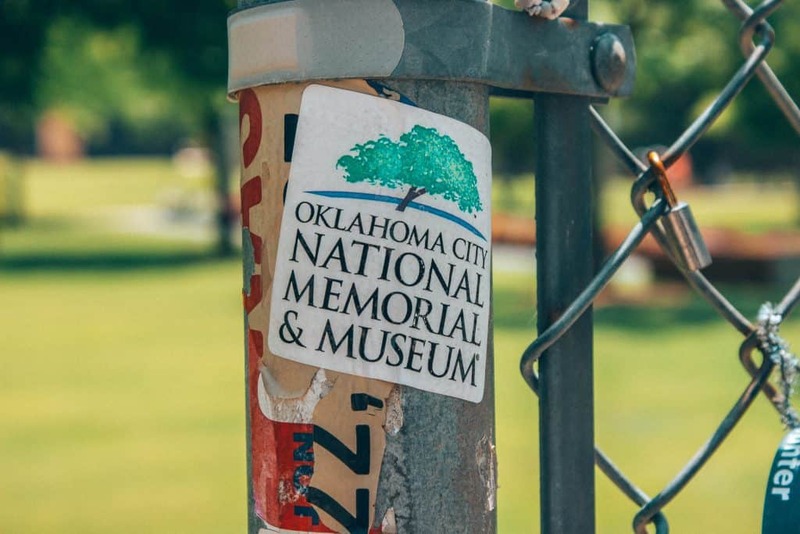 I don’t care if you’re a museum person or not (I’m a growing museum lover) — you need to visit the Oklahoma City National Memorial & Museum. It’s important and moving. Spokies is Oklahoma City’s bike rideshare program and is the perfect way to explore Downtown Oklahoma City! One of the things I remember thinking about Oklahoma City is that the traffic is practically non-existent. 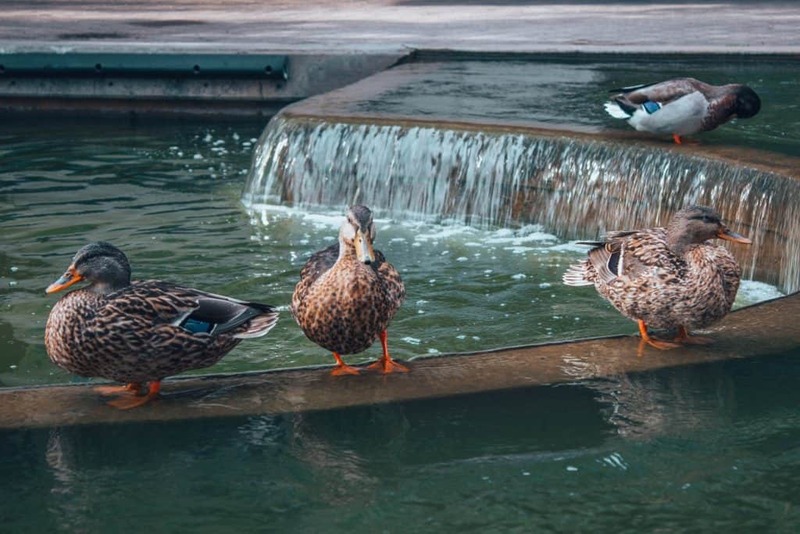 So, if you’re a little nervous to try – Oklahoma City is the perfect city to get your feet wet! 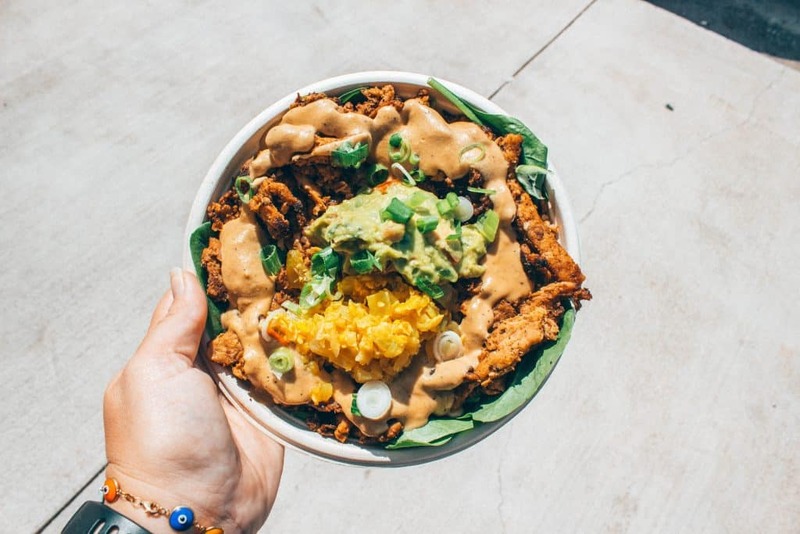 The Loaded Bowl started as Oklahoma City’s first vegan food truck in 2013 and now has a brick and mortar restaurant (walking distance from my hotel, by the way!). 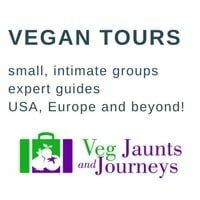 I was so excited to try this spot as it came highly recommended by several of my vegan friends. My only regret is that I didn’t get to go here more than once. Their signature dish is the mac n cheese and it was delicious. I also had the chicken melt bowl which was so unique! I also may or may not have gotten a few baked goods to take home. One of which was a raspberry cookie sandwich thing that was heavenly. 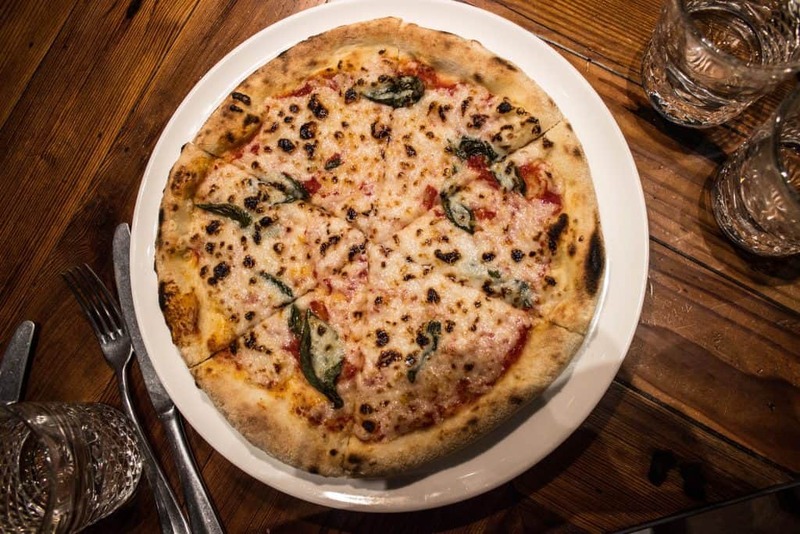 They have super long hours which is nice too – perfect late-night meal! Yesterday was a long and full day but there’s still more to see so get ready! Yesterday we started with donuts and coffee and today, we’ll start with coffee and a cookie! Are you sensing a theme yet? 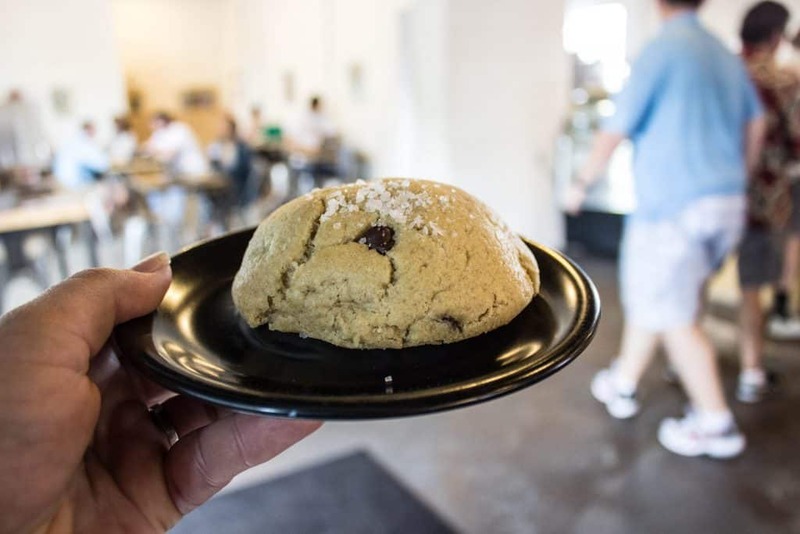 I touched on this cookie in my vegan guide to OKC, but I’ll let you know here too. This is damn near one of the best cookies ever. 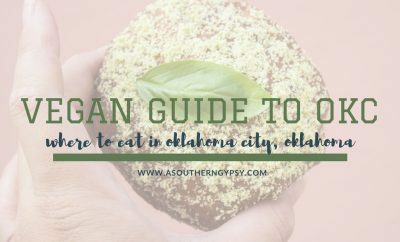 It was named by Cosmo as the best cookie in all of Oklahoma and it just happens to be vegan! I thought I’d actually hate this museum. Not going to lie at all. However, it was actually quite fascinating. Despite my own opinions on how some things went down in history, I do love learning about it in general. I also grew up watching old western movies so it was really cool to see that section of the museum. This place is huge too so block off a couple hours! 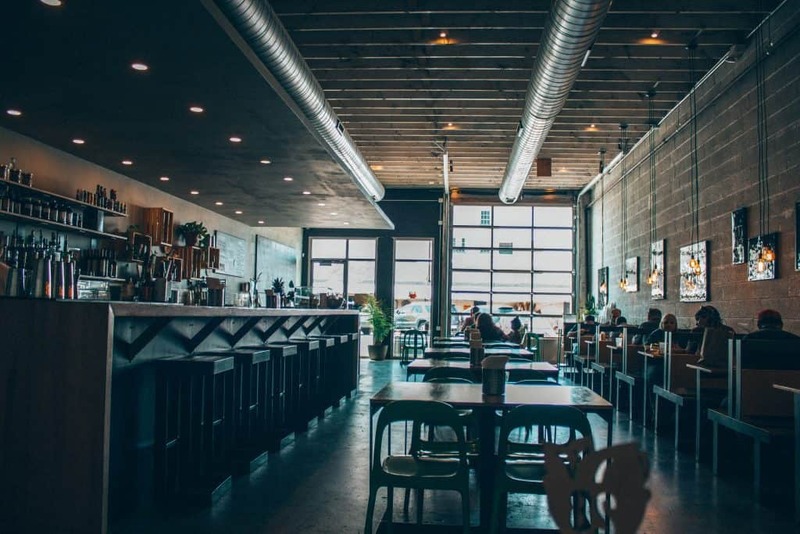 Mary Eddy’s is located in the 21C Hotel in Oklahoma City and is a completely scratch kitchen which means they can alter stuff to make it vegan for you! 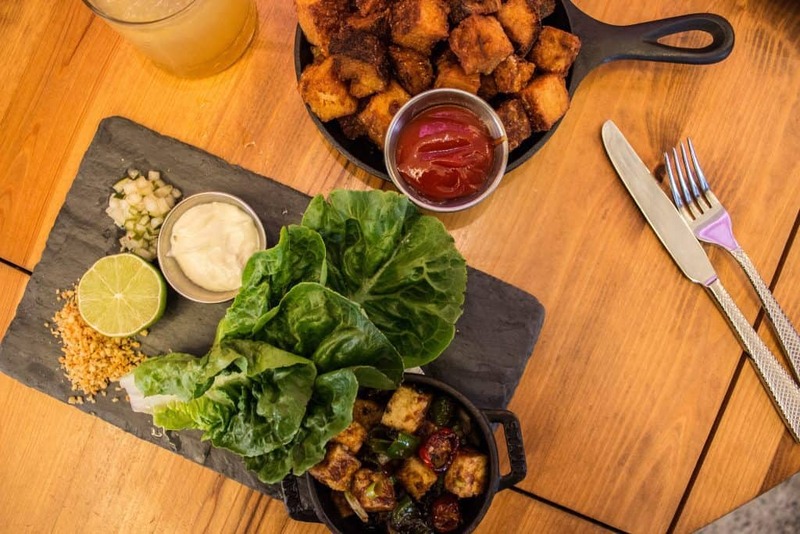 I had some really yummy crispy tofu lettuce wraps and some of the best damn hashbrowns I’ve ever had! 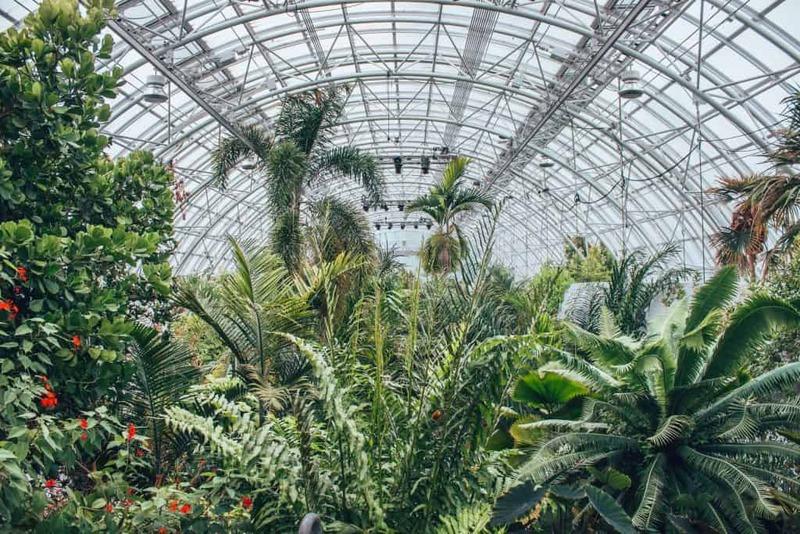 If you’re looking to add a little greenery to your weekend, head over to the botanical gardens. You can walk from brunch – it’s only a couple blocks over! The gardens aren’t huge so it won’t take you too long but they’re really beautiful. Fair warning – it’s like a sauna in there so stay hydrated! Bricktown is one of the neighborhoods people head to for nightlife and while I’m not a big nightlife person, I really enjoyed the Bricktown Water Taxi ride. 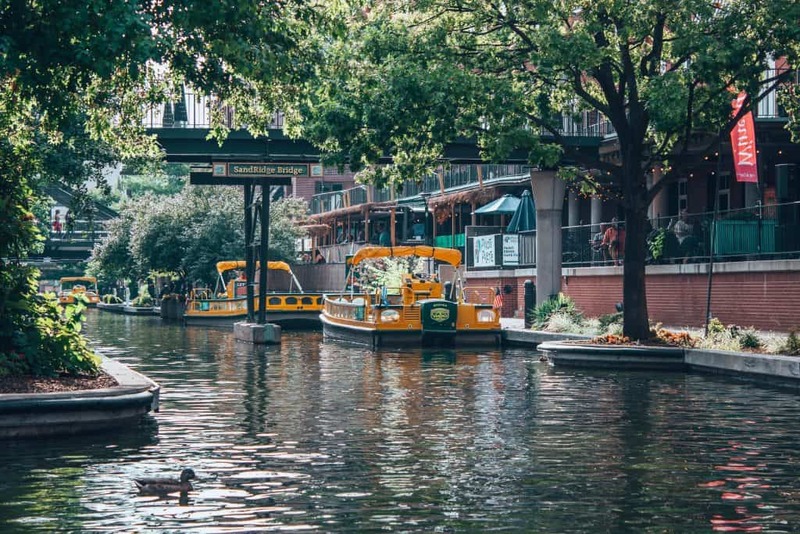 It may be touristy, but it’s a great way to see a part of the city from a different perspective and it actually comes with a lot of knowledge and history from the guide! The Jones Assembly is a unique spot as it’s a full-scale restaurant and bar but it’s also a music venue where they have concerts and show movies. Additionally, they have several vegan options including this delicious pizza with vegan cheese! Perfect for a date night or a get together with a group of friends! Great post! 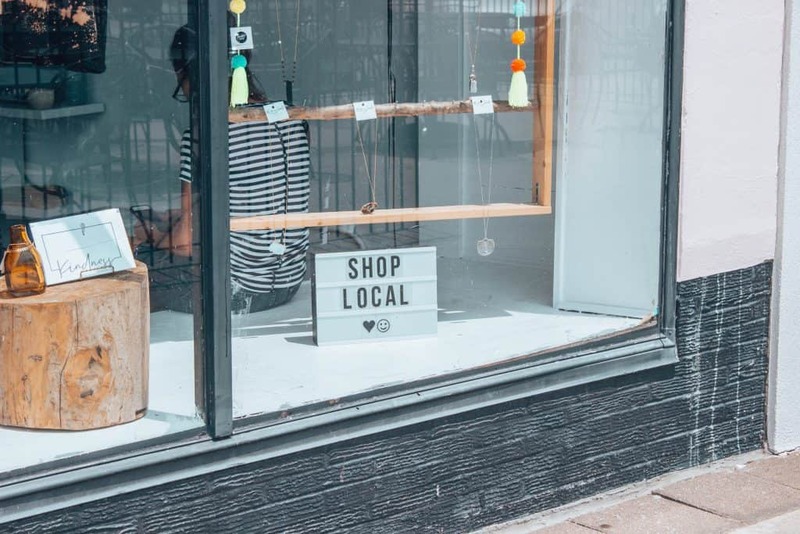 As an OKC resident I love hearing when people enjoy visiting our city. Thank you! I can’t wait to get back! I remember stopping in OKC during the long road trips from Tucson to Columbus OH. It was 26 road hours and we had two small kids. 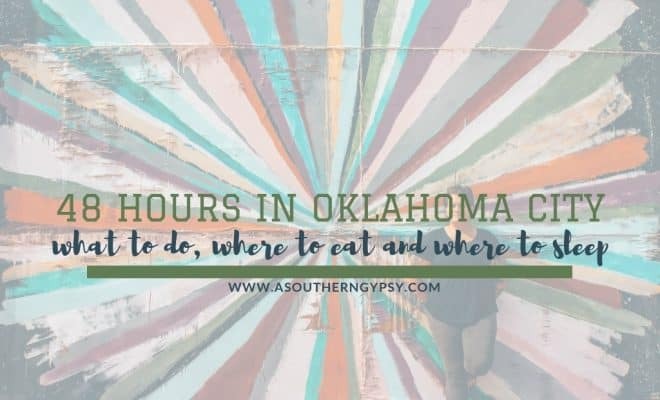 I would drive through the night and sleep in the car while the fam explored the OKC Zoo (which reciprocated with the Tucson Zoo membership). I have to say, your city explorations looks cooler. I was telling Jenn that we should have you show us around Orlando. You can find so many cool things to do. I never knew there was a waterfront area in OKC. I think of an interesting family-oriented community when I think of Oklahoma City, but I’ve also been there and know this to be true! It’s been over 10 year since I’ve been so I know a lot has changed and I would like to go again. As usual, you find the best street art! I have to agree with you on the savory donut…not usually my thing. 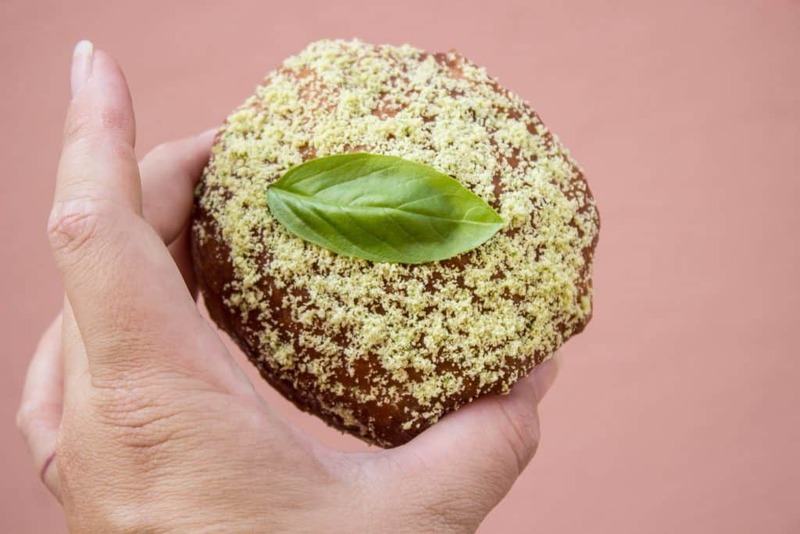 Tomato-filled sounds interesting, but I totally want that watermelon lemongrass donut NOW!! I have been to the National Memorial Museum and it’s both beautiful and somber. I wish it didn’t have to exist. Next trip I’d like to check out the Myriad Gardens. Great 48-hour itinerary! First stop? 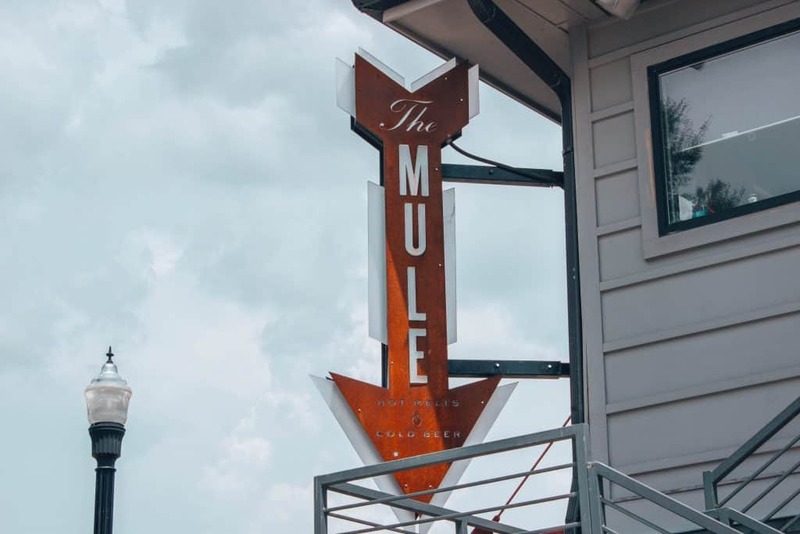 The Mule. I need that sandwich! Then a journey to the Cowboy Museum. But the real draw in Oklahoma City to me is the museum erected after the bombing. I would feel compelled to visit it and honor the victims. One of those things we must never forget. Wait a minute! You didn’t mention that was the Best Cookie in Oklahoma! Granted, mine was pretty darn good too, but… 😉 It was fun exploring OKC with you, but we need to go back to see more! $190 RT is indeed a steal!! The city has so many cool and colorful murals. I would love to rent a bike and explore all that (plus the food!). The water taxi ride sounds like an interesting experience as well! The last time I was in Oklahoma City was for a wedding — right after college. 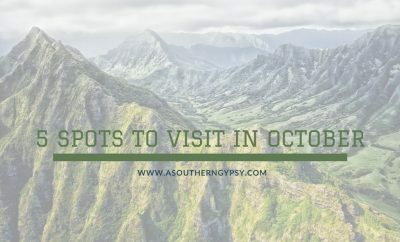 And I’d have to say, I’ve never really thought about it as a travel destination — but you sure have uncovered a lot of interesting reasons to visit. 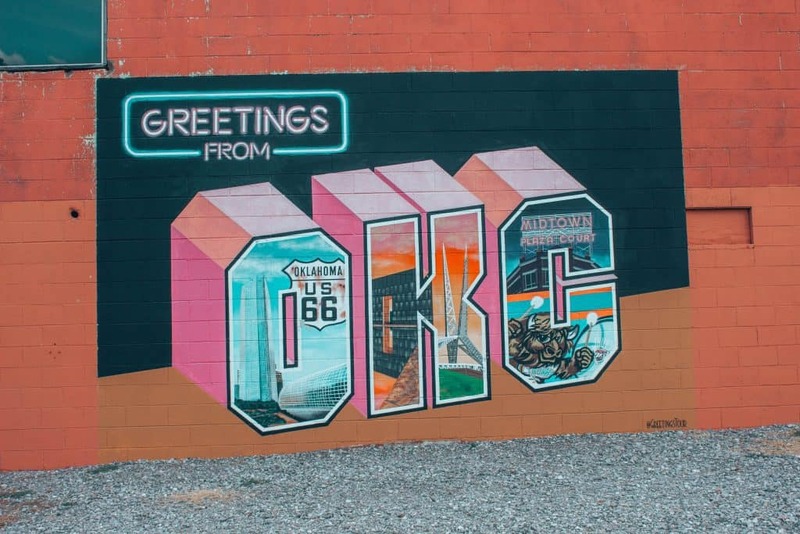 I love learning more about regional cities, and OKC is certainly a possible destination for me, really not that far away. Thanks for sharing! Sounds like a great weekend and I’d be all over that water taxi ride too. I’d love to drive cross country one day and would definitely stop in Oklahoma City. I have wanted to visit OKC for a little over 10 years now! I have a very close blogging friend that lives there and I have a life goal to get to that town. It’s funny though, the longer it takes, there more there seems to be to do and eat. OKC is growing like mad! Great post! 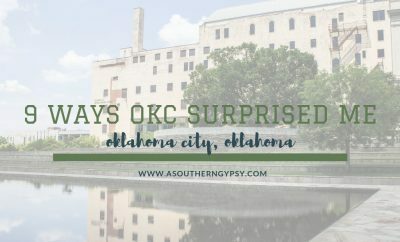 For those that haven’t visited OKC in the last 10 years, it’s not the same city! 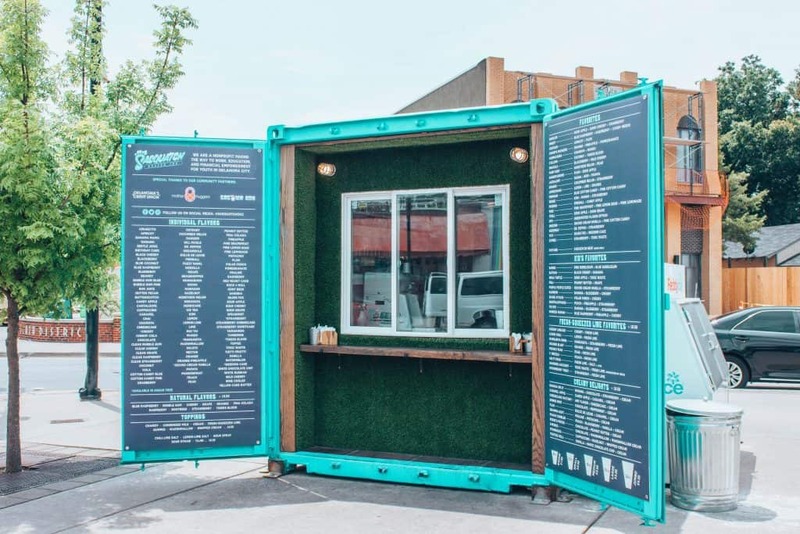 New restaurants & venues opening every day. The street cars coming next week will be a cool addition and will make getting around easier. Come check out OKC soon! Thank you so much! I can’t wait to get back and visit more!